I love Napa cabbage above all other lettuce for making low carb wraps or lettuce cups because they are strong enough to hold up to lots of toppings and has a very mild clean flavor. 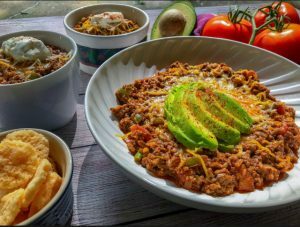 Napa cabbage is also very low in calories, carbs and fat but allows you to pile on the toppings and sauces to your liking so everyone gets the bite they want. Is easy to just put out a build your own buffet of veggies along with the grilled marinated shrimp along with a spicy Aioli. 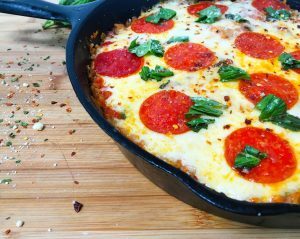 Bubba was right you can do anything with shrimp! Shrimp might be one of my favorite foods, I’m hard pressed to find a preparation of shrimp that I don’t like. Fried, sautéed. Steamed I love it all but I’ve got a special place in my heart for anything grilled, especially shrimp. The beautiful thing about grilled shrimp is that it only takes a few minutes and they’re done. No worrying about mid rare or medium like with cooking steaks, all you need to do is grill them over direct heat for about 3 minutes per side until the pale translucent color turns a solid white and orange color. 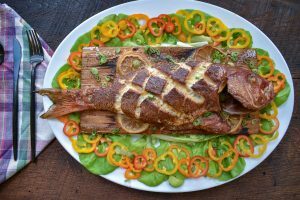 Theses hundreds if not thousands of recipes for grilled shrimp but this tandoori shrimp recipe is one I truly love and have prepared on multiple occasions. 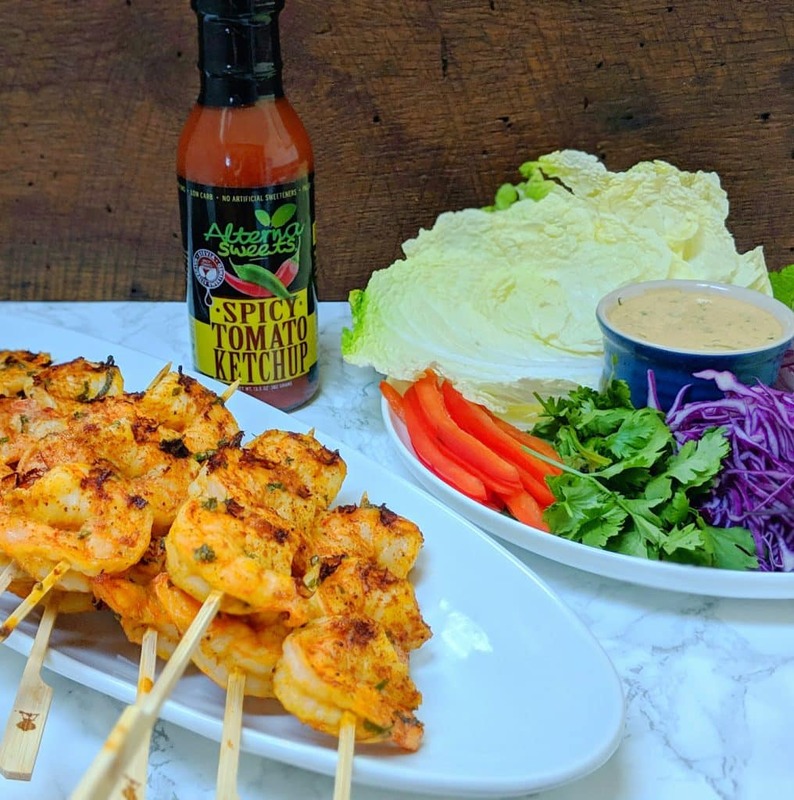 Though far from traditional this shrimp marinade does have those familiar flavors of tandoori shrimp just reimagined in a new way. Instead of using all yogurt I’m using mostly mayonnaise with just enough yogurt to give the Aioli an subtle tanginess. As well as marinating the shrimp in the Aioli and serving extra on the side. That way you can sear the flavor into the shrimp but also serve a cool creamy Aioli on top to give you a contrast in texture and temperature. Wood or Metal…choose your weapon! 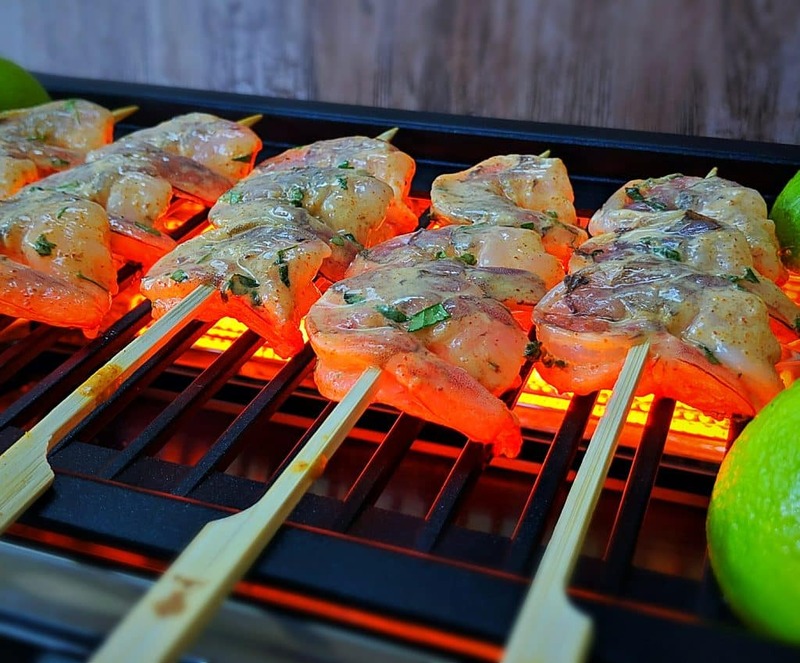 When grilling anything on a stick you have basically two options, metal or wooden skewers. Metal are great because they’re reusable and can help conduct heat inside of the meat to help the protein cook evenly. On the other hand wooden skewers can give the recipe a slight charred wood flavor that you come to expect from anything cooked over fire. If using wooden skewers be sure to soak them in water for a few hours so they don’t catch fire. 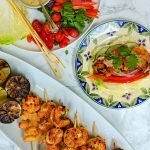 List of possible veggies to serve with your shrimp skewers. 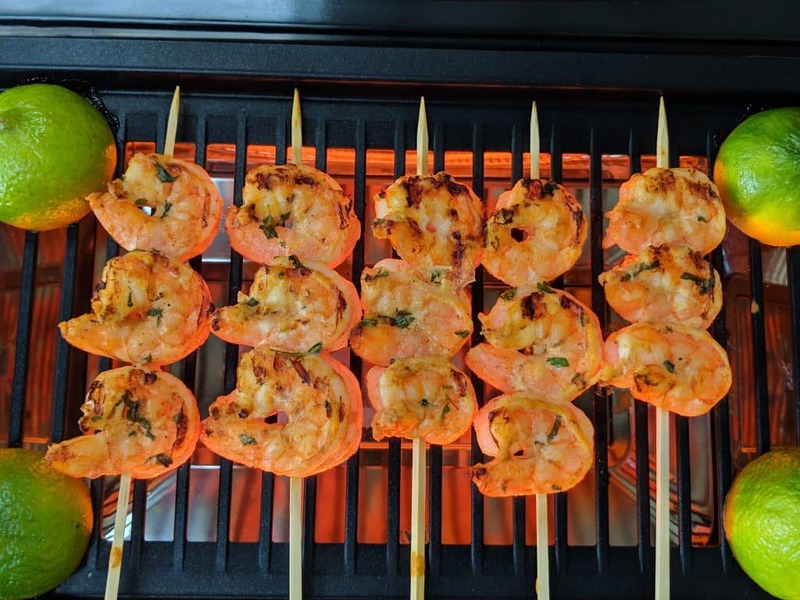 Soak wooden skewers in water for 30 minutes before skewers 3 shrimp per skewer then grill on SIMPLE LIVING Smokeless Grill for about 3-5 minutes per side until shrimp are fully cooked. 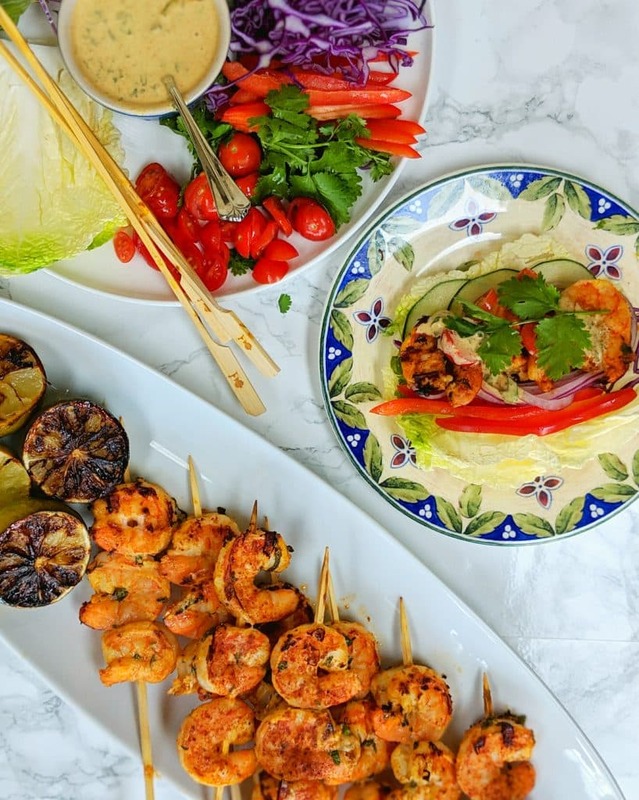 Serve with fresh Napa cabbage lettuce cups with remaining tandoori sauce and fresh veggies. Listed above.